Becca and Tyler have never met their grandparents since their mother hasn’t spoken to them in 15 years. Suddenly they contact and invite the two kids to visit them. Becca has the idea to make a documentary to reveal the mystery of what happened that day her mother left her home town. Mom agrees and the two expect to have a nice vacation. But when they arrive something seems awfully wrong with Nana and Pop Pop. 1. We have a great cast, especially Deanna Dunagan. Without her the movie would have only been half as creepy; the way she went from calm to screaming, from nice to evil was perfection. 2. The plot was simple but interesting and suspenseful. There could have been thousands of explanations why the grandparents are acting so weird creepy. But the biggest mistake they made was making this another handheld camera pseudo documentary movie. I don’t even know why this style still exists; it was interesting when The Blair Witch Project was released but it should have stayed a unique experience. I am so irritated that people still make profit with those kind of movies. The next thing that forced this movie to fail was the character development: it didn’t exist. The mother wanted to spend time with her new boyfriend and therefore agreed to send her kids away. The daughter had a hidden sadness (which turns out isn’t that big of a deal), and the son is a Wangsta which is a short for Wannabe Gangsta or White Gangsta, and his raps are pretty annoying and don’t help with the plot. Nana and Pop Pop are nice during the day and creepy at night. There was nothing more to discover. The little hints of a plots twist weren’t really hints just distractions which let to a rather predictable ending. One Last thing: Using poop as one main component of the plot seems very desperate to me. 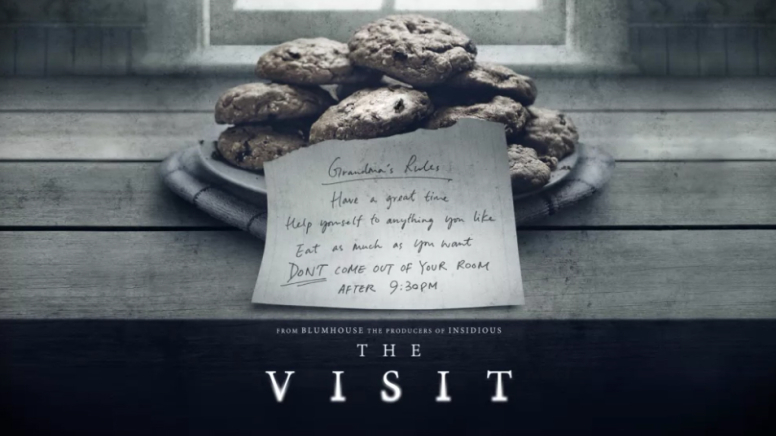 All in all this could have been an outstanding movie especially with this great cast, but it turned out to be a dull documentary style horror that had one or two jump scares and lots of wasted potential. Oh, and poop. The few creepy moments might make this movie worth giving it a try for Halloween. The Sixth Sense, Unbreakable and Signs remain my favourites from him. I thought he would do better with at least this one! It has been a long time. I have seen Unbreakable a very long time ago but don’t remember. Guess I should watch it again.